Barney's Co-Op is the most recent Manhattan transplant to the eclectic Atlantic Avenue in Brooklyn's Cobble Hill neighborhood (some people call this 'BoCoCa', for Boerum Hill, Cobble Hill and Carol Gardens, but, you know). Joining other big names like Trader Joe's, Urban Outfitters and Jonathan Adler that now reside on Brooklyn's "fashion avenue," the new Co-Op is 10,000 square feet of choice (and expensive) men's, women's and children's apparel and accessories. Whether or not this will save or tarnish the avenue, it's worth a jaunt out. And while you're there, why not spend the day seeing what else the avenue has to offer? From delicious candied dates to designer consignment, Atlantic is definitely worth the trip. Might as well start at Barney's Co-Op, and don't miss the special 25th Anniversary exclusives like limited edition Alexander Wang backpacks ($895), a 3.1 Phillip Lim Halter Dress ($650) and Rag & Bone stripped underwear for men ($55). 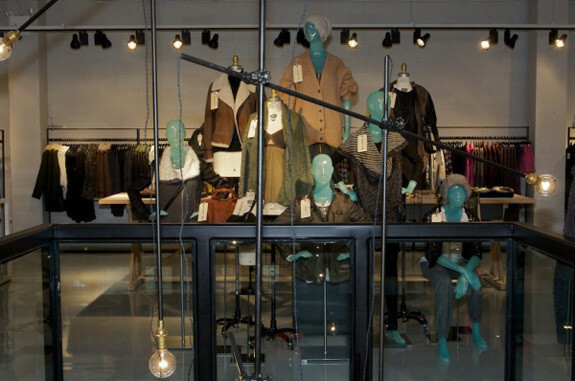 If you still have high-end fashion on the brain, be sure to check out Michelle New York, a small boutique with edgy women's clothing by designers like Joe's Jeans, Thylo, Plastic Jungle and Wink and accessories from designers like Foley & Corinna, Elizabeth Cole Jewelry and Treesje. A fun piece for fall is owner and designer Michelle Field's herringbone poncho. If furniture is more your thing, there are some great stores nearby. Rico, is an eco-conscious gallery and showroom that has a solid selection of home furnishings, art, lighting and decor that follows a clean, modern aesthetic. Be warned, this is certainly not a place to come with a tight budget. If you're looking for home decor with a little more history, check out Circa Antiques. 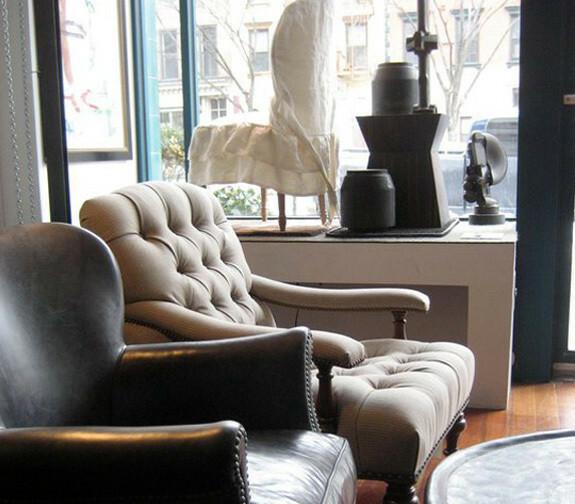 A resident on the Avenue for over thirty years, Circa specializes in 19th century furniture and accessories. If incredible taxidermy and antique rugs are more your thing, stop by DARR, where the chic shop houses an assortment of miscellaneous items like gilded scissors, bell jars, books and bears. Get in touch with Atlantic Avenue's roots by visiting a couple of the Middle Eastern grocery stores and specialty shops that line the street. 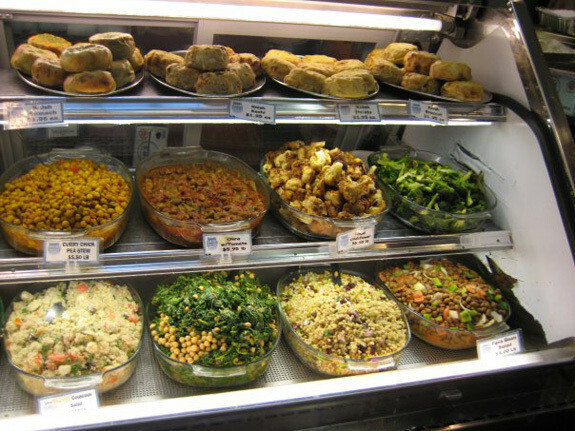 The two best are The Oriental Pastry and Grocery Company and Sahadi's Specialty and Fine Foods. Oriental, as the name might suggest, is the place to satisfy your sweet tooth. The baklava is cut in generous portions and other Turkish specialties like kounafa (like cheesecake with a chewy exterior) or havlah (sort of like an almond or walnut fudge) are delicious and often free to sample. Sahadi's is much bigger and is great for finding unusual olive oils, cheeses and for buying prepared foods like creamy hummus and kibbes made from lamb, beef, bulgar and pine nuts (and their olive bar is super cheap, too). This part of Atlantic Avenue is considered to be in the Cobble Hill neighborhood, and is accessible by the 2, 3, 4, 5, R and J at Borough Hall. When you exit the station, head west on Joralemon Street towards Court Street. Walk south on Court Street until you reach Atlantic Avenue. Shouldn't be more than a five minute walk.